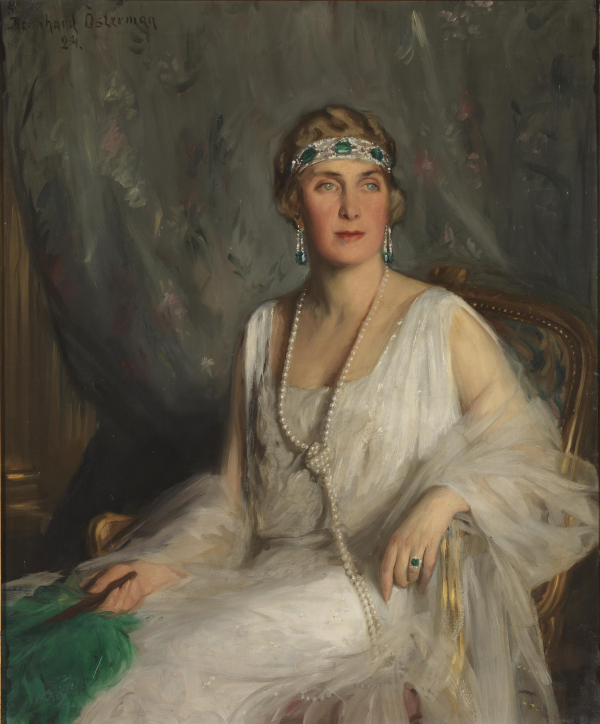 Today marks the fiftieth anniversary of the death of one of the royal matriarchs of the twentieth-century: Princess Victoria Eugenie of Battenberg, who is better known to history as Queen Ena of Spain. 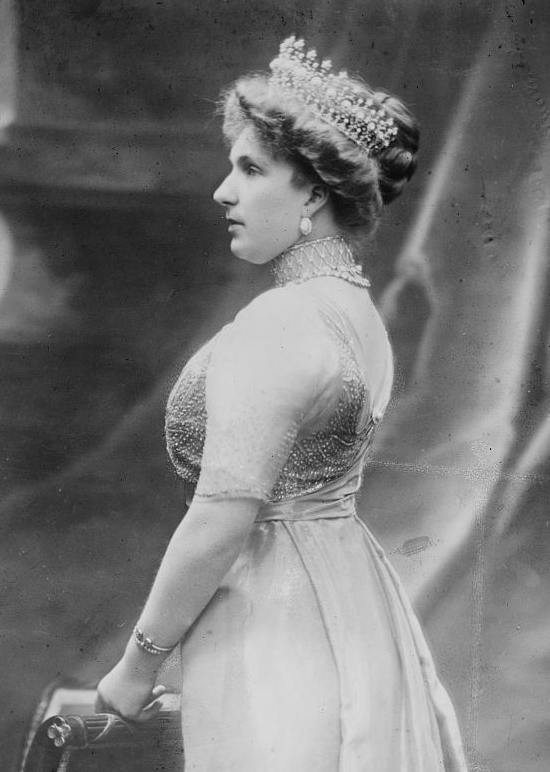 Today, we've got a bejeweled look back on her fascinating royal life. 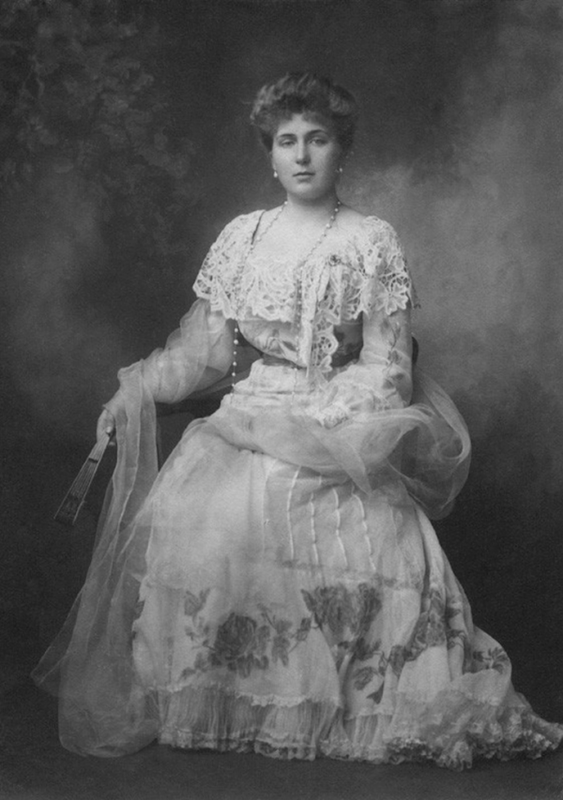 Princess Victoria Eugenie Julia Ena of Battenberg, the daughter of Prince Henry of Battenberg and Princess Beatrice of the United Kingdom, was born at Balmoral Castle in Scotland in October 1887. 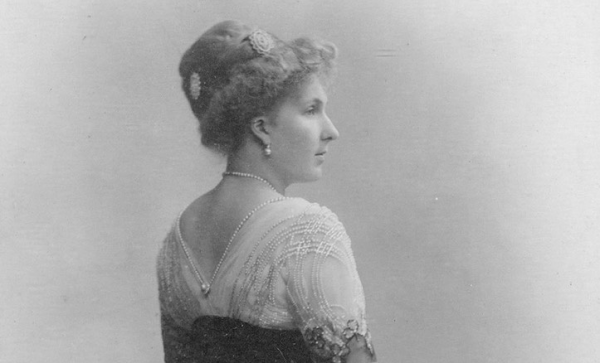 Her first three names honored her maternal grandmother, Queen Victoria of the United Kingdom; her godmother, the exiled Empress Eugenie of France; and her paternal grandmother, Princess Julia of Battenberg. She was generally known, however, by her fourth name, Ena. 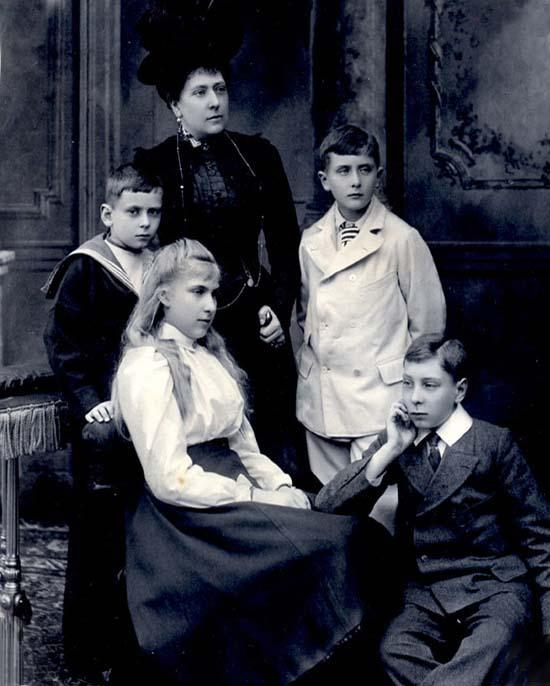 Ena, Princess Beatrice's only daughter, had four brothers. Prince Alexander, the eldest, served in the British Army, Navy, and Air Force. When the family gave up their German titles during World War I, he took on the new title of Marquess of Carisbrooke. The second brother, Prince Leopold, also served in the British Army, but he sadly inherited hemophilia, the genetic disorder that wreaked havoc in Queen Victoria's family tree. The youngest, Prince Maurice, was killed in the First Battle of Ypres while serving with the King's Royal Rifle Corps in October 1914. All four of the children grew up close to their grandmother, Queen Victoria, especially after the death of their father, Prince Henry, in 1896. Ena was only seventeen when she caught the eye of the man who would become her husband. King Alfonso XIII, the young monarch of Spain, made a state visit to the United Kingdom in June 1905. 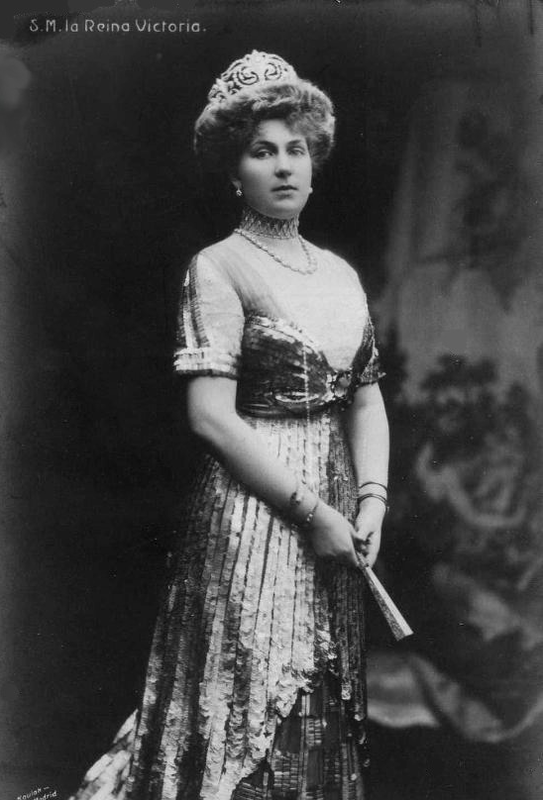 At a dinner party given by King Edward VII and Queen Alexandra, Alfonso -- who was openly searching for a royal bride -- was introduced to several young British princesses, including Ena. (Princesses Patricia and Margaret of Connaught and Princesses Helena Victoria and Marie Louise of Schleswig-Holstein were also invited.) Legend has it that his initial target was Ena's cousin, Princess Patricia, but he was captivated by Ena. 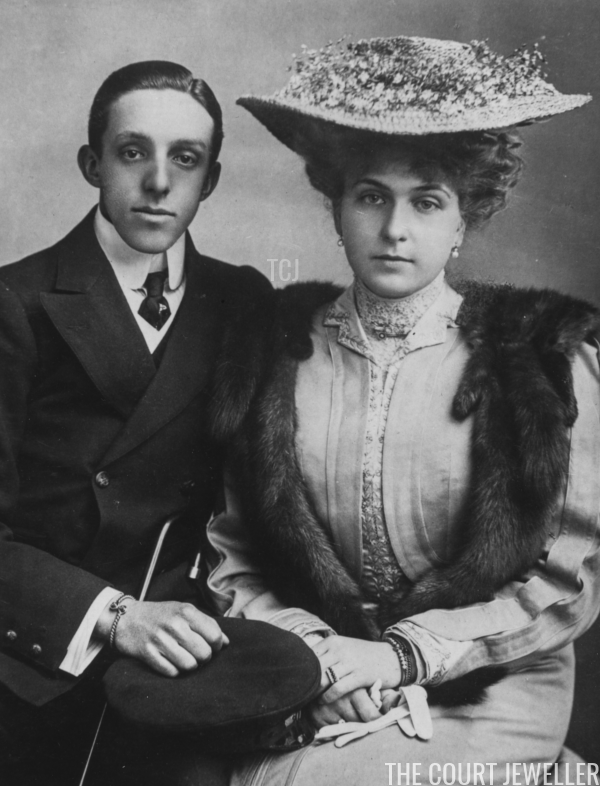 The pair were soon courting, even over the protests of his mother, Queen Maria Cristina, who wasn't particularly impressed by the Battenberg princess's paternal pedigree. In the midst of the budding royal relationship, Ena was also present for another royal wedding. 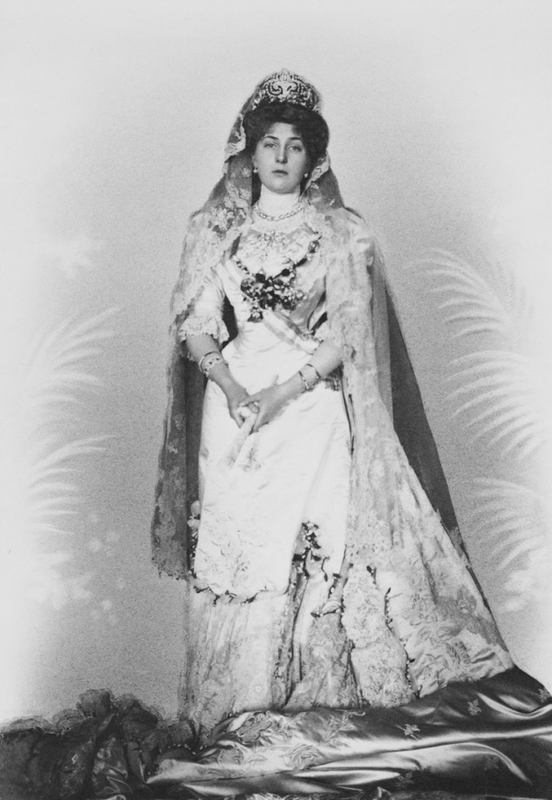 In June 1905, a few days after meeting Alfonso, she served as one of the bridesmaids for her cousin, Princess Margaret of Connaught, who married the future King Gustaf VI Adolf of Sweden at Windsor Castle. Ena is the bridesmaid standing on the left-hand side of this official portrait of the wedding party, taken by W.D. Downey. Regardless of Maria Cristina's objections, the courtship continued swiftly. 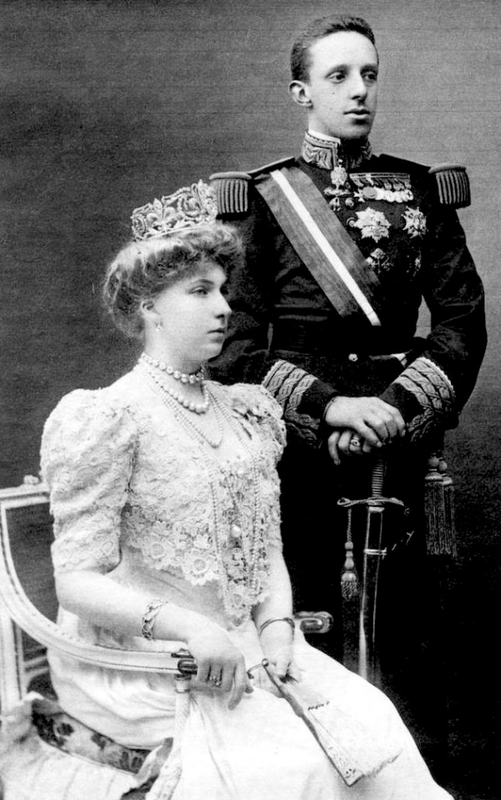 Neither Ena's religion (she was an Anglican, while the Spanish royals were and are Roman Catholic) nor the risks of joining the Spanish royal family (Alfonso had survived his fourth assassination attempt when his carriage was bombed in Paris just a few days before he and Ena met) slowed down the marriage negotiations. 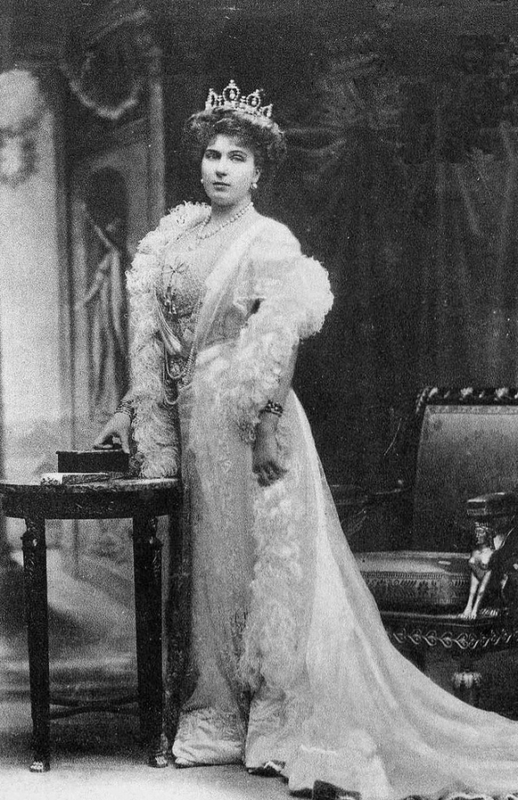 Ena turned eighteen in October, and by the end of the year, the papers were heavily speculating that she would soon become Queen of Spain. In January, Queen Maria Cristina finally relented and gave her approval to the match. Ena and her mother traveled to the south of France, where they spent time with Alfonso before heading to Spain to meet with his mother. By February, the engagement was officially announced. Ena converted to Catholicism, and a treaty was signed between Spain and the United Kingdom to make things official. Ahead of the wedding, King Edward VII even granted his niece the style of Royal Highness, upgrading her from the status of Highness. As you might have expected, the wedding gifts offered to a future Queen of Spain were impressive indeed. Her wedding dress was a gift from her new husband; so was the grand diamond tiara she wore on her wedding day. (The diadem, made by Ansorena, is still known by the appropriate nickname La Buena, which simply means "the good one.") Her lace veil was a gift from her mother-in-law; it was the same one Queen Maria Cristina had worn on her own wedding day. 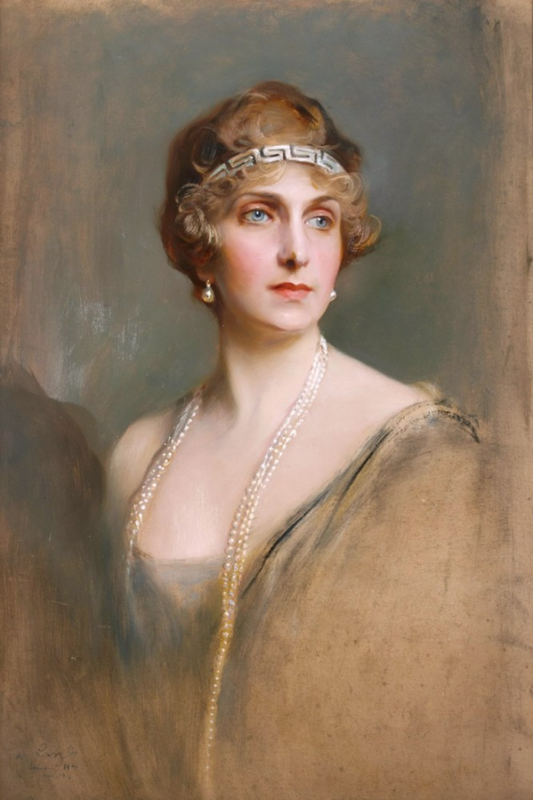 She was also presented with a treasure trove of tiaras, necklaces, brooches, and other jewels. 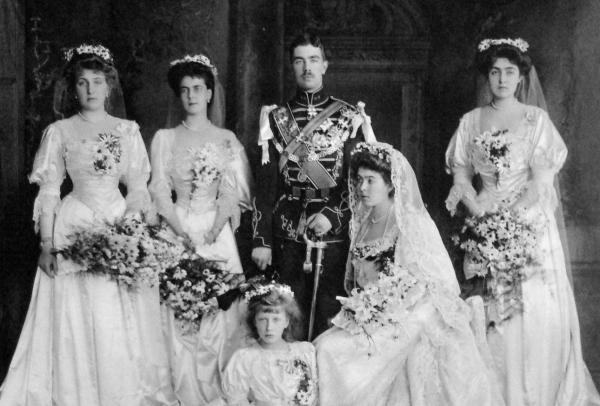 The royal wedding, held in Madrid at the Church of San Jeronimo on May 31, 1906, went off without a hitch -- until the royal carriage procession headed back to the palace afterward. The newlyweds were seated in a carriage at the end of the procession, which also included numerous royals from throughout Europe. (Those riding in the carriages included, notably, the future King George V and Queen Mary of the United Kingdom, the future King Albert I of Belgium, Grand Duke Vladimir of Russia, Prince Andrew of Greece and Denmark, Archduke Franz Ferdinand of Austria, and Prince Luis Filipe of Portugal.) As Alfonso and Ena's carriage traveled along the Calle Mayor, an anarchist threw a bouquet at the carriage. The flowers concealed an explosive device, which detonated, killing more than twenty people and wounding 100 more. Alfonso and Ena's escape from injury was so narrow that her wedding gown was splattered with blood. Here, Queen Ena pairs La Buena with layered necklaces, several bracelets, and a fantastic gown from the House of Worth. 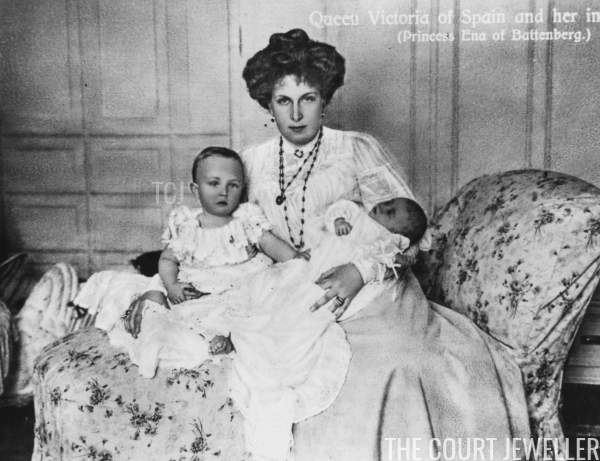 In 1909, Ena gave birth to her third child in three years: a daughter, Infanta Beatriz. She eventually married an Italian aristocrat, Alessandro Torlonia, Prince di Civitella-Cesi. Their descendants include Princess Sibilla of Luxembourg. Four more children followed. Infante Fernando was stillborn in May 1910. 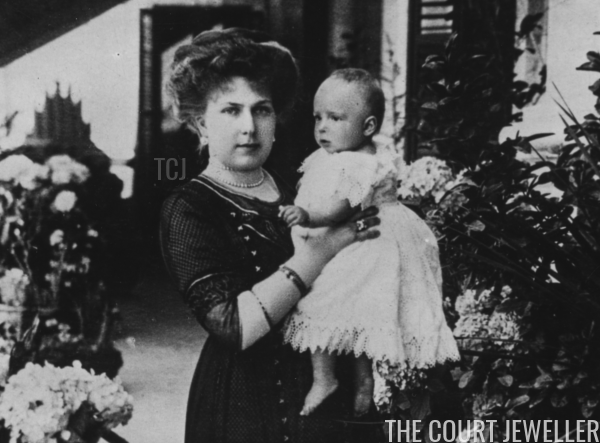 A year and a half later, Infanta Maria Cristina, who named for her grandmother, was born. After renouncing her succession rights, she married an Italian aristocrat, Enrico Marone-Cinzano, 1st Count Marone, in 1940. Infante Juan, who later became Count of Barcelona, followed in June 1913. 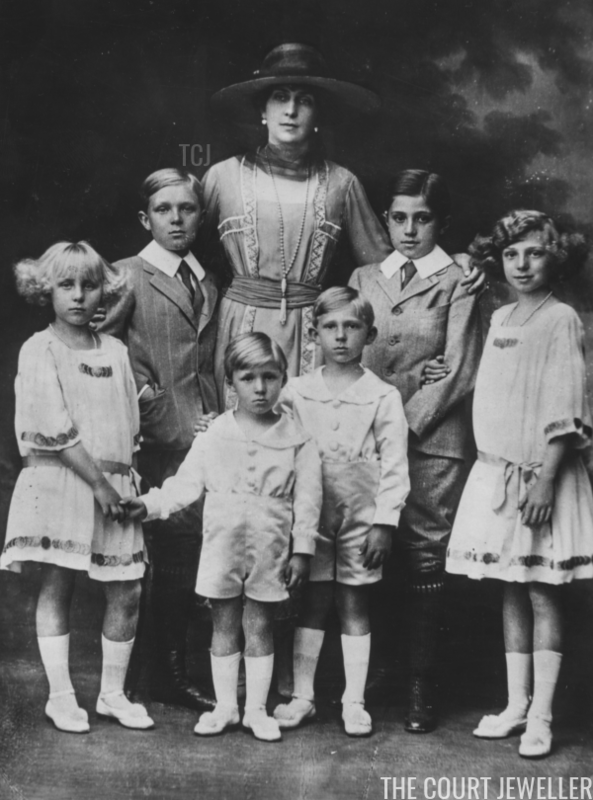 He married a cousin, Princess Maria Mercedes of Bourbon-Two Sicilies, in 1935, and had four children, including the future King Juan Carlos. Juan's grandson, King Felipe VI, now sits on the Spanish throne. The youngest member of Ena's family, Infante Gonzalo, was born in October 1914. Like his eldest brother, he was also a hemophiliac, and he died following a car accident in Austria at the age of nineteen. 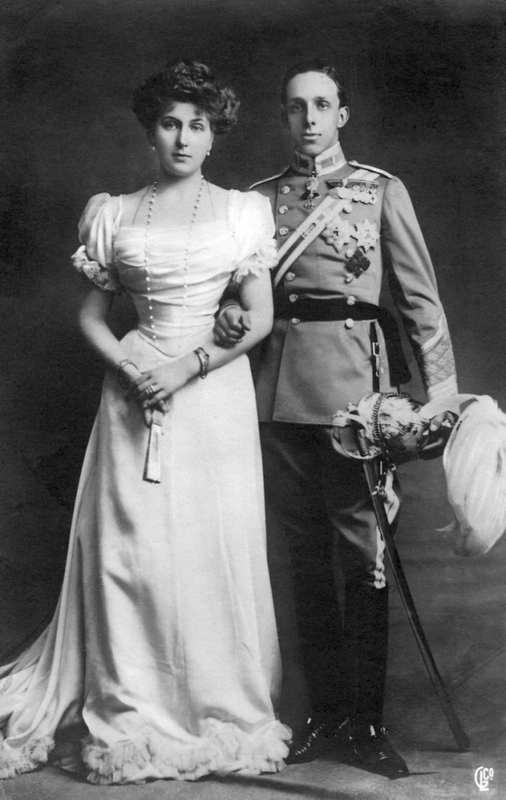 Although they produced a large family, Alfonso and Ena's marriage ultimately was troubled, in large part because he was not a faithful husband. He acknowledged a number of illegitimate children, the eldest of whom, Roger de Vilmorin, was born in September 1905. At least five more sons and daughters were born during his marriage to Ena. Despite her marital issues, Ena gained a measure of popularity in Spain. She devoted herself to charitable work, especially nursing and hospital work. In the late 1920s, she became deeply involved with the Spanish Red Cross. Images from this period also reinforce the majestic nature of her position. 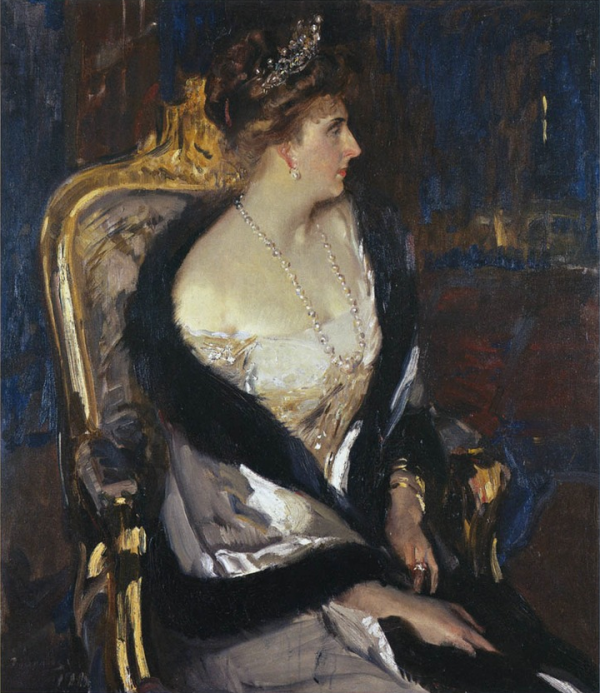 Here, in an iconic portrait, she pairs La Buena with diamonds, as well as the diamond and emerald necklace that featured stones inherited from her godmother, Empress Eugenie. 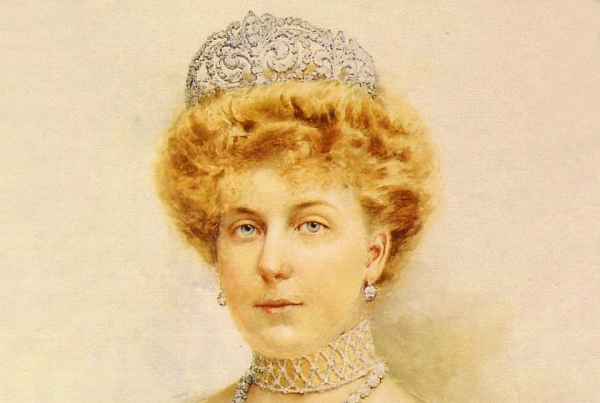 She was also photographed in several other important tiaras, including Queen Victoria's Strawberry Leaf Tiara (more here! 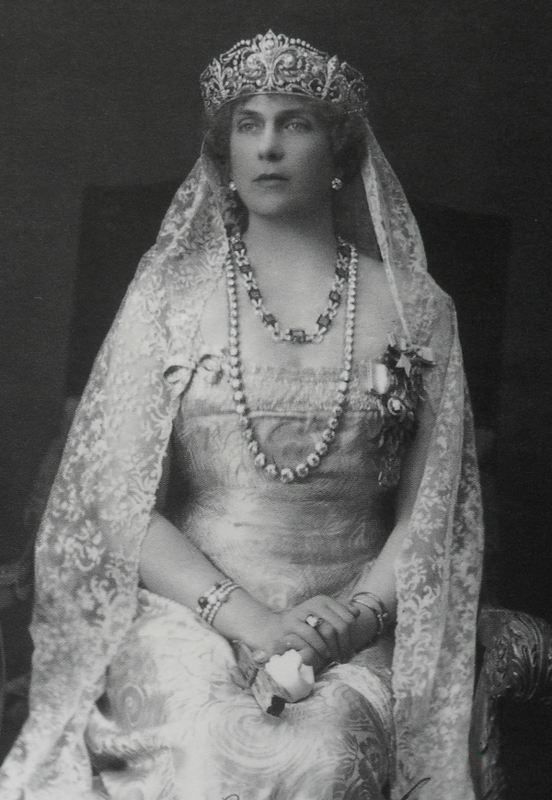 ), which was loaned to her by her mother, and the magnificent Mellerio Shell Tiara (more here!). In 1931, the Spanish royal family was sent into exile following a referendum on the monarchy. Ena and Alfonso unofficially separated as well. He died in 1941. 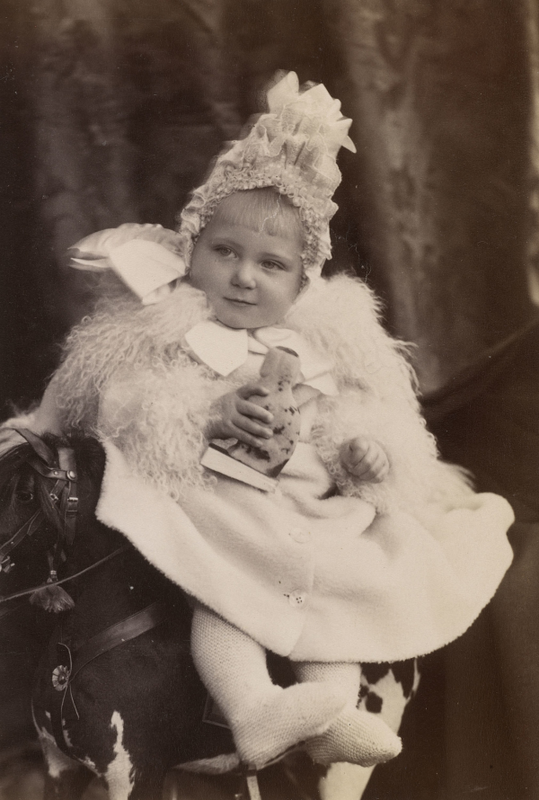 She eventually settled in Switzerland, though she remained a vital part of the royal family. 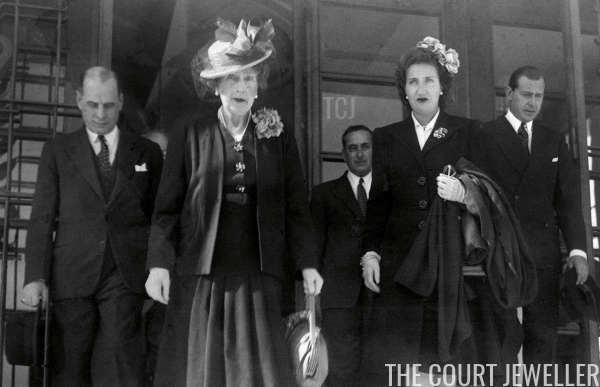 She's pictured here at the airport in Lisbon in 1935 with her son, the Count of Barcelona (on the right) and his bride, Maria Mercedes. Ena also spent time with family in her native Britain. 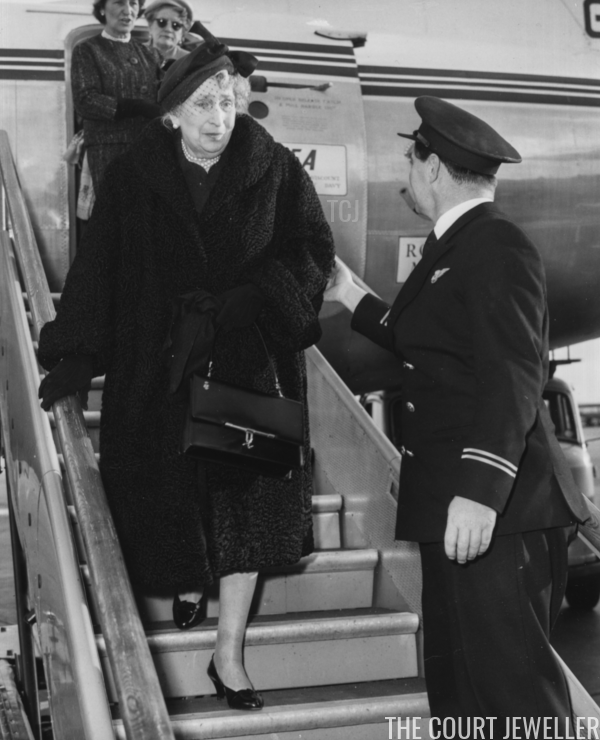 In October 1959, she flew from Geneva to London, where she visited her brother, the Marquess of Carisbrooke. He passed away a few months later. Ena's life in exile lasted for almost four decades, and she was an active member of her family right up until the end. In May 1967, she traveled to Lisbon to attend the wedding of her granddaughter, Infanta Pilar, to Luis Gomez-Acebo y Duque de Estrada. Queen Ena died in Lausanne, Switzerland, on April 15, 1969. She was initially buried there as well, but in 1982, she was re-interred in the Royal Vault at the Escorial in Madrid. 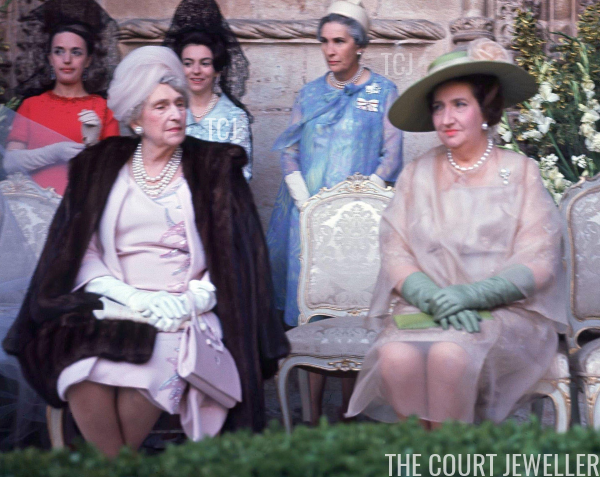 In her will, she left the world an important sparkling legacy, creating the joyas de pasar, a collection of jewels designated for the use of the Queen of Spain. (The jewels, which you can learn more about here, are now worn by Queen Letizia.) 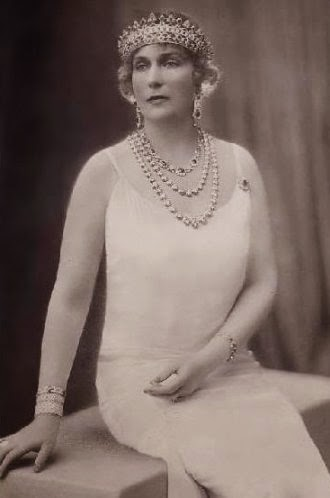 With a life that took her from Balmoral to the throne of Spain and, ultimately, to royal exile, Ena remains one of the most fascinating royal women of the last century.